England set Sri Lanka a target of 462 for victory - SABC News - Breaking news, special reports, world, business, sport coverage of all South African current events. Africa's news leader. Resuming day three on 38 without loss, openers Rory Burns and Keaton Jennings added 22 runs to England's total. England have set Sri Lanka a target of 462 for victory after a dominant third day of the first cricket test in Galle. An unbeaten 146 runs by Keaton Jennings helped England to post 322 for six declared in their second innings and tighten their grip on the match. Resuming day three on 38 without loss, openers Rory Burns and Keaton Jennings added 22 runs to England’s total before Sri Lanka got the breakthrough. Burns was run out for 23 to leave the visitors on 60 for one. England then lost two wickets, that of Moeen Ali and Captain Joe Root in quick succession with both of them dismissed for just three runs. Ali was caught by Rangana Herath at mid-off, while Root was bowled for the second time in the match by Herath. The fourth wicket stand between Jennings and Ben Stokes rebuilt England’s innings. 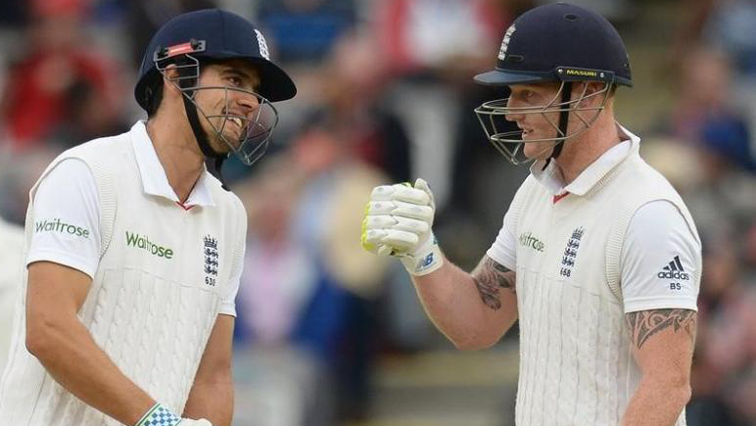 Their 107-run partnership was broken when Dilruwan Perera dismissed Stokes for 62 with England on 181 for four. The visitors were on 212 for 4 at tea after a good second session that took their lead to 351 runs. Jennings, who was on 98 before tea, batted patiently after the break to score his second test century much to the delight of his team mates and English fans. However, Herath got his second wicket of the innings, breaking Jennings’ 77-run partnership with Jos Butler dismissing the latter for 35. Ben Foakes was next to depart for 37 before England declared on 322 for six with Jennings unbeaten on 146. Sri Lanka posted 15 runs in the last seven over overs of the day before stumps were drawn. This entry was posted on 08 Nov 2018,02:37PM at 2:37 PM and is filed under Sport, Cricket. You can follow any responses to this entry through the RSS 2.0 feed. Both comments and pings are currently closed.